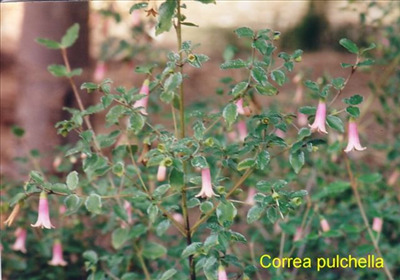 Low spreading shrub suitable for most well-drained soils and situations. Excellent for growing in dry shade e.g. under oaks, or full sun. Grows well in Ojai and on the coast tolerating very low temperatures (recently 16F). Often found growing in calcareous soils in its native habitat in South Australia. 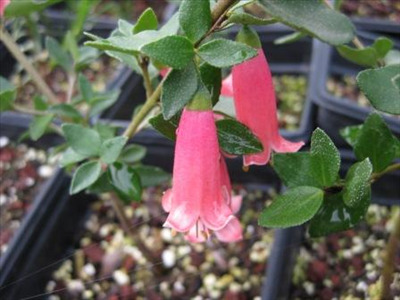 There are many forms available with plants varing in flower colour and leaf shape. Grows well from cuttings. Useful low shrubby hedge.